What's in my CD rack? Call me old fashioned, but I much prefer physical CDs to downloads. I’ve always loved the excitement of opening up a brand new CD for the first time and putting it into my CD player not knowing what amazing new songs await me when I press play. When I was younger I would sit on my bed with the booklet from the CD and read along with the lyrics as the songs played to learn the words, it was one of my favourite things to do. Even now, in the modern age of streaming and Spotify and itunes, I prefer to either pre-order my CDs online or go into HMV and buy a physical copy, there’s just something really satisfying about being able to hold it in your hands, but maybe that’s just me. So I’ve been looking through my CD rack, which contains a LOT of CDs, some old and some new, and I’ve picked out a few to share with you. Some of these are really old and embarrassing, but it’s always a laugh to look back on old music and relive the memories that come with them. 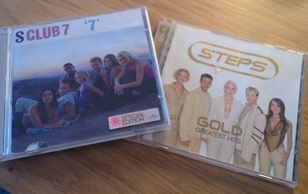 Starting off with two of my absolute childhood favourites, S Club 7 and Steps. 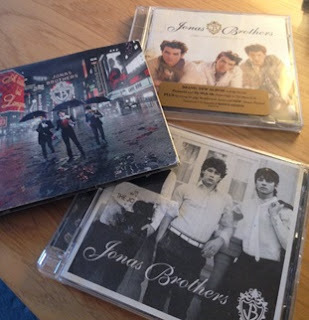 I literally lived for these CDs when I was little, they’re basically the soundtrack to my childhood! This S Club album is the one that has the classic ‘Reach’ on it, which will undoubtedly take many of you back to every primary school disco, I know it does for me! Obviously being the die-hard fan I was I had the special edition, which included one of my all-time favourite songs, ‘Never Had a Dream Come True’, which I still mouth along to dramatically, hand movements included, whenever I hear it. Not even exaggerating. The Steps album was also a favourite of mine for so long! This one is a greatest hits compilation of 20 songs, including the song that everyone hates to love, ‘Tragedy’ (and everyone still remembers the dance, don’t even try to deny it. And several rude versions). This album also contains such bangers as ‘Stomp’, ‘5, 6, 7, 8’, ‘Chain Reaction’ and ‘Better the Devil You Know’. What amazing tunes. They don’t make them like that any more. Not going to lie, I just looked through the track list for this album and could still remember most of the words to all of the songs on these albums. I found this CD battered and bruised at the bottom of the rack, and felt awful that it had been so neglected. This CD was basically my baby. I had a slight obsession with Atomic Kitten, they were so fab, and this CD was everything. Literally everything. I listened to it all the time. I even used to listen to it while I was going to sleep. 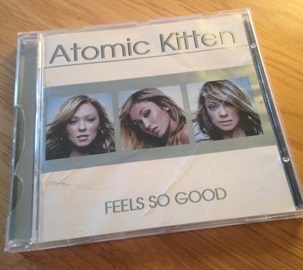 The two most known hits on this album are ‘The Tide is High’ and ‘Whole Again’, but true Atomic Kitten fans (if there are any still out there lets be best friends) will remember songs like ‘Feels So Good’, the title track from the album, and my personal favourite ‘Walking on the Water’, which literally just hearing the title of takes me right back to listening to it 24/7 and always going around singing it when I was about 7. Good times indeed. I’ve already mentioned in a few of my other posts but if you don’t know already, I was a massive Jonas Brothers fan. Like, huge. So obviously I own all of their CDs (including the soundtrack to both Camp Rock films and their TV series), as well as a lot of merchandise that is still somewhere in the back of my wardrobe, drowned in early teenage memories. These albums were just the soundtrack of my life from when I was about 13 to about 15, I haven’t listened to them in ages because believe it or not I am still very emotional that the Jonas Brothers are no longer together. I can’t deny that I love Nick’s new music and DNCE, Joe’s new band, but nothing will ever compare to the Jonas Brothers for me. So many amazing songs that still mean a lot to me. Going to stop now before the tears start to fall on my keyboard as I type this. Sob. From one boyband obsession to another. 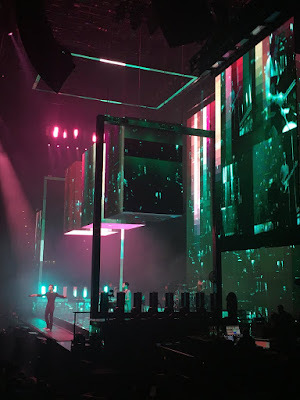 Everyone knows (unless you live under a rock or this is the first post you’ve read from my blog) that I love One Direction a lot. Obviously I have all 5 physical copies of their albums, but the photo looked better when I didn’t try to squish all 5 of them in. Of course I have the deluxe versions as well, can’t be doing without the bonus tracks. Go hard or go home. 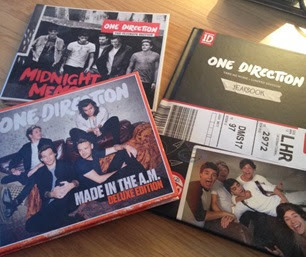 My favourite album is a tie between Take Me Home and Made In The A.M., but of course I love them all. Also, don’t ask me to pick my favourite song. 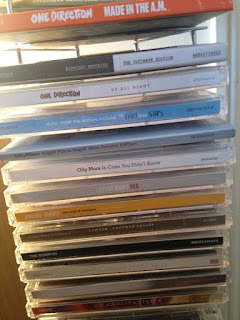 I have so many of these CDs, as you can tell from the photo! 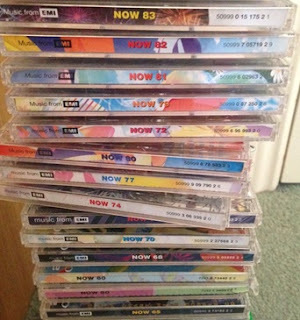 The oldest one I have is Now 50, which contains such hits as ‘Uptown Girl’ (Westlife’s cover, obviously.) and ‘Hey Baby’, as well as a song by Bob the Builder. Yes, all of these were chart hits in 2001. How times have changed. I loved getting these CDs, because they all had two discs in them and had a bit of everything, so they were good on long car journeys when you couldn’t decide on what CD to bring, or just so that you didn’t have to buy all of the singles you wanted separately, because Now CDs compiled all the amazing (and also the most annoying) hits of the moment. If a random awful song comes on shuffle on my ipod, I’ll always blame these CDs. ‘Oh, why do I have this song? Must’ve been on Now 62.’ (Just kidding, this song is my guilty pleasure but I can get away with it because everyone knows about my collection of Now CDs so they’ll believe me). This was also one of my favourite albums when I was younger. I listened to it all the time and used to sing all the songs dramatically into my flowery microphone pretending my bed was a stage. True story. No shame. The title song ‘Breakaway’ was, and still is to be honest, one of my favourite songs ever. I always found it so relatable, being a little girl in a small town and having big hopes that one day I would escape and live my dreams. (I tried not to make that cringey but I failed, didn’t I?) This album also contained legendary hits like ‘Since U Been Gone’ and ‘Behind These Hazel Eyes’. Prime overdramatic sing along with over-the-top hand movements tunes right there. When I got a bit older, in my teens, Paramore became one of my favourite bands. They’re a bit more rocky than what I usually listen to, but I love their songs. 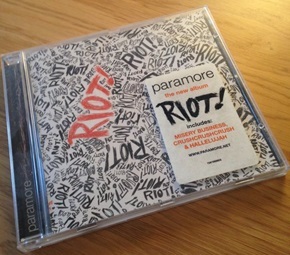 This album was one of my favourites, and one of my all-time favourite Paramore songs, ‘When It Rains’ is on it. Unless you’re a Paramore fan, I doubt you’ll know any of the songs on this album, but there were so many amazing songs on here. If you want to have a listen I would recommend it, my other favourite tunes on it are ‘Hallelujah’, ‘We Are Broken’ and ‘Fences’. So, that’s a small tour of what’s in my CD rack. 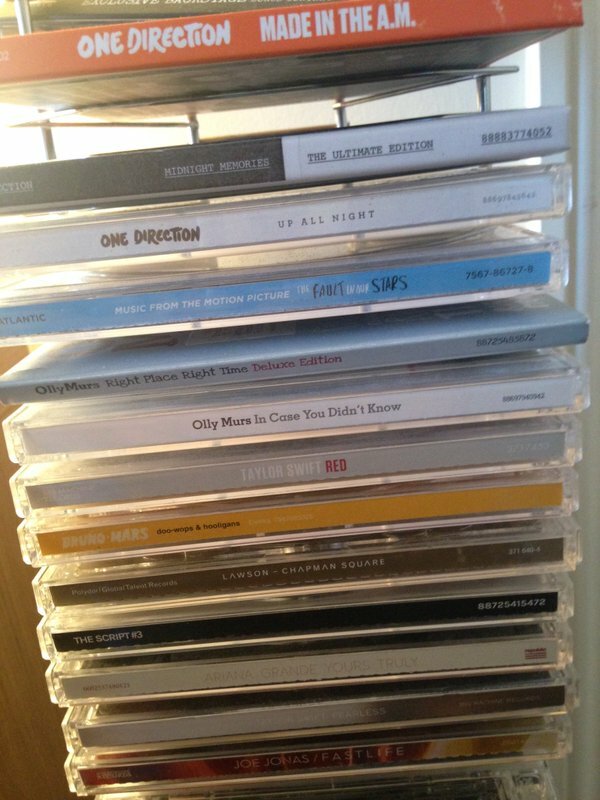 Obviously I have a LOT more CDs than that, but those were just a few that stood out to me when I was looking through them all and some of them definitely brought back a lot of memories! Avril Lavigne, Taylor Swift, Olly Murs and all my other favourite artists that you already know about also dominate my CD rack, but these were some little gems that I unearthed and had almost forgotten about. What are your favourite childhood CDs? Do you still have them? Do you prefer downloads to CDs, or are you like me and prefer to have a physical copy of an album? Leave your answers in the comments, or anything else you’d like to share. I’d love to hear if these albums brought back memories for you guys too.